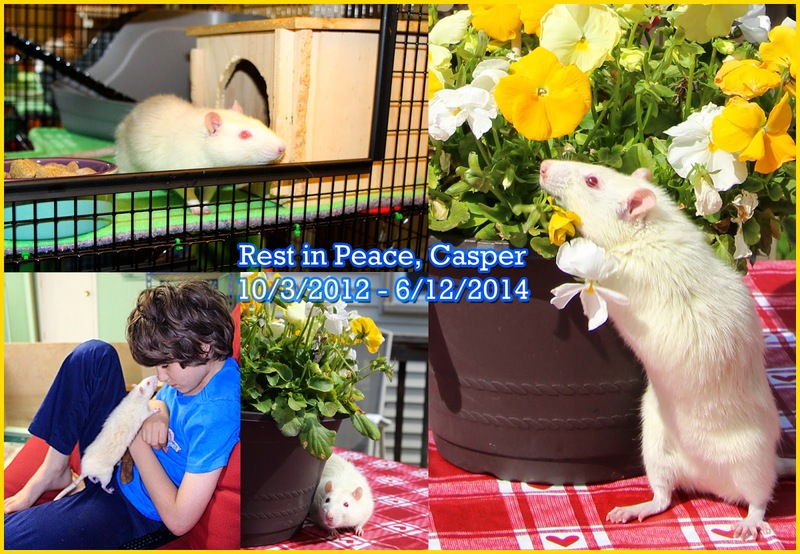 Yesterday, early evening, Casper lost his battle with his lung tumor. Though he was only with our family for a little over a month, he instantly won over our hearts. We are so sad to have lost him so soon. 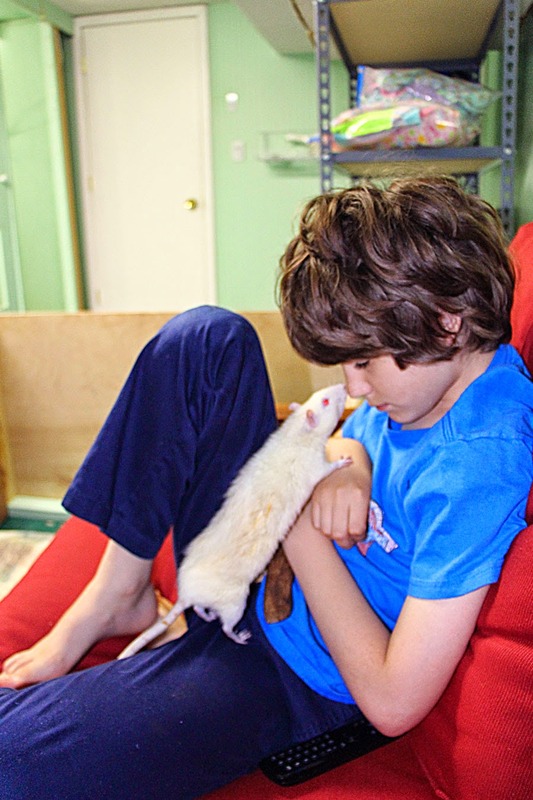 He was a sweet and gentle personality and had so much curiosity and love. He will be truly missed. The steroids he was on did give him a nice second wind and I believe they offered him more time than he otherwise would have had - but if not, they seemed to improve his appetite and energy level and his general quality of life. Play hard over the bridge, sweet boy. May you have lots of tunnels and bridges to explore. In February, we blogged about our experience with the Lixit Glass Bottle Recycle Kit. After using them for about 4 months, we thought we would revisit the topic. As we mentioned in our previous posts, our rats did not like the narrow tubes of the small (5/16" tube) kit, but were fine with the medium (7/16" tube) kit. The 7/16" tubes can be a tight fit on cages with 1/2" bar spacing. The long bar spacing of the Critter Nation seems to work just fine, but the shorter bar spacing of the Martin's cages is a tight fit, and the tube has to be squeezed through. This means that when the bottle is removed, you have to be very careful to hold the stopper while removing the bottle, or you run the risk of the stopper getting stuck between the bars and the bottle pulling off the stopper, spilling the water. I did this a few times before it became engrained in my mind to make sure I held the stopper with one hand when removing the bottle to make sure it didn't come out of the bottle. 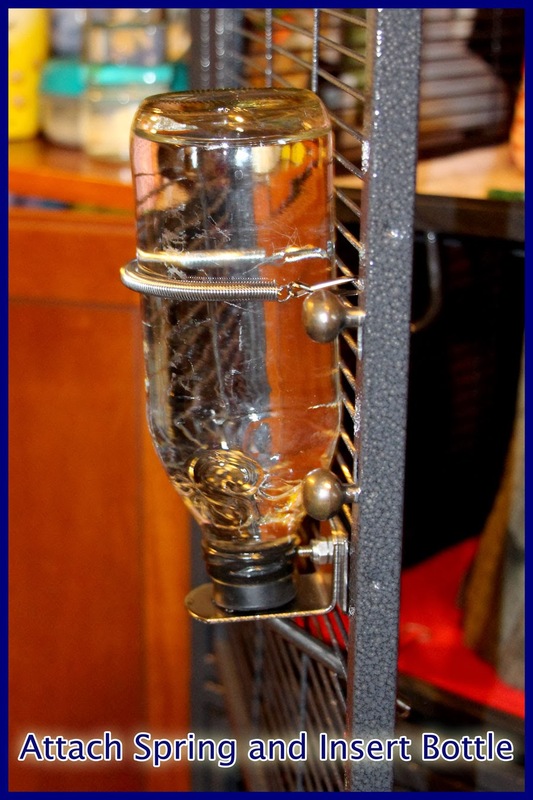 I also found that you don't really need the mounting kit when installing the bottle in a Martin's cage because the bar spacing is both short and narrow, holding the bottle in place via the tube. You do need a spring or a piece of elastic to hold the bottle upright, but you do not need the mount that the stopper rests on. This also makes it easier to remove the bottle from the Martin's cages. Since the stoppered tubes can be purchased separately, you can save some money by skipping the kit as long as you have a spring long enough to hold the bottle in place. The other thing that I noticed is that if you do not change the water frequently, bacteria can build up on the stopper. This is not unique to this bottle - the same can happen with the gasket in standard water bottles, but you won't notice it because you rarely touch the gasket. In fact, any time you have water left standing too long, bacteria is going to start to build up. I normally change the water every day, but sometimes miss a day. I have noticed no build up under either circumstance. But I left a water bottle on a carrier once, and several days later, when I went to remove it, I noticed a slimy feel to the end of the stopper that was inside the bottle. That slimy substance is bacteria buildup, and if you notice that forming on the stoppers, you are not changing the water/cleaning the equipment frequently enough. Fortunately, the stoppered tubes are dishwasher safe, so after changing the bottles, I rinse the tubes out well and put them in the dishwasher with the Snapple bottles to sanitize everything. As long as you change the water regularly and keep the parts clean, you won't have a problem. If you do have a problem, at least it is easily recognizable, and you can make adjustments to your practices to correct it. Aside from those issues, the water bottles work great. They have never become jammed and they have never once leaked. 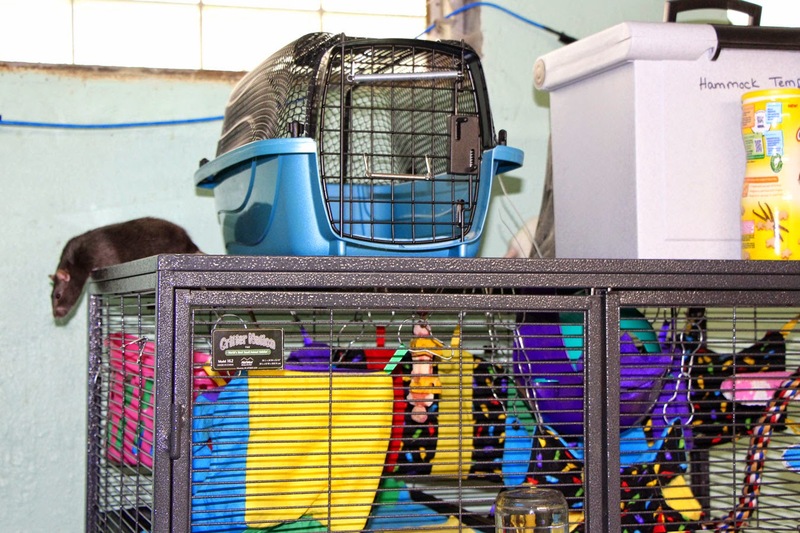 They will be a relief when we go on vacation, since I won't have to worry about water bottle problems happening while I have a pet sitter watching our rats. 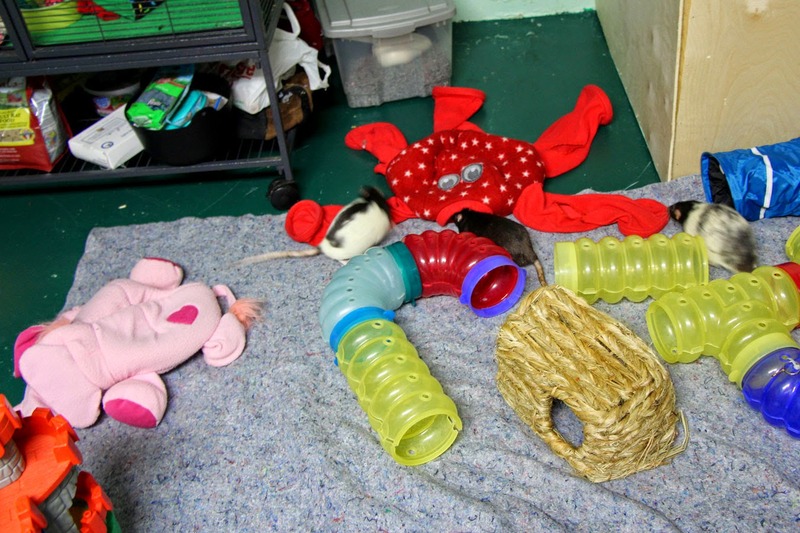 My only remaining reservation is that I am not sure how well these wide tubes will work with babies, since all of my rats are in the 1-2 year old range at the moment, but I do have the original 4 stoppered tubes in the smaller size that I can use for younger rats if they have problems with the wider tubes. 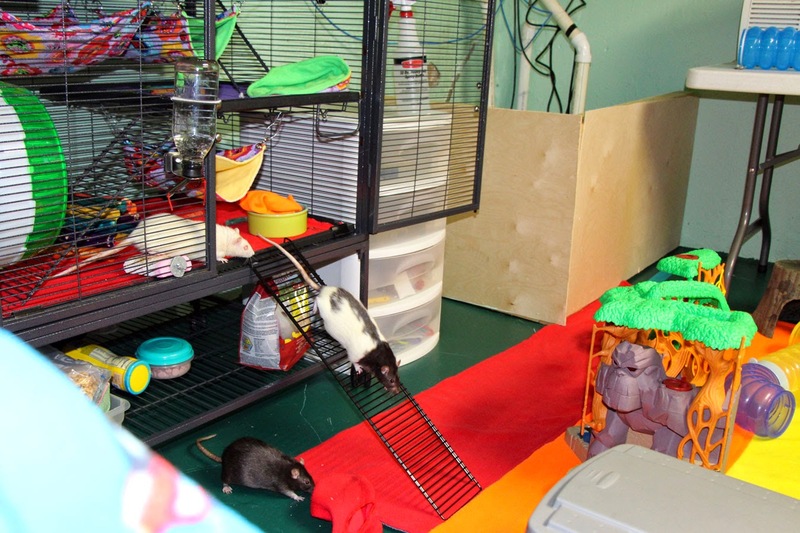 If you have a Critter Nation or a Ferret Nation cage and you allow your rats some free range time in the same area as their cage, this exterior ramp is a cool accessory to have. It is available from Ferret.com for an after shipping cost of somewhere close to $15 (prices and shipping tends to fluctuate, so check your cart for the actual price). 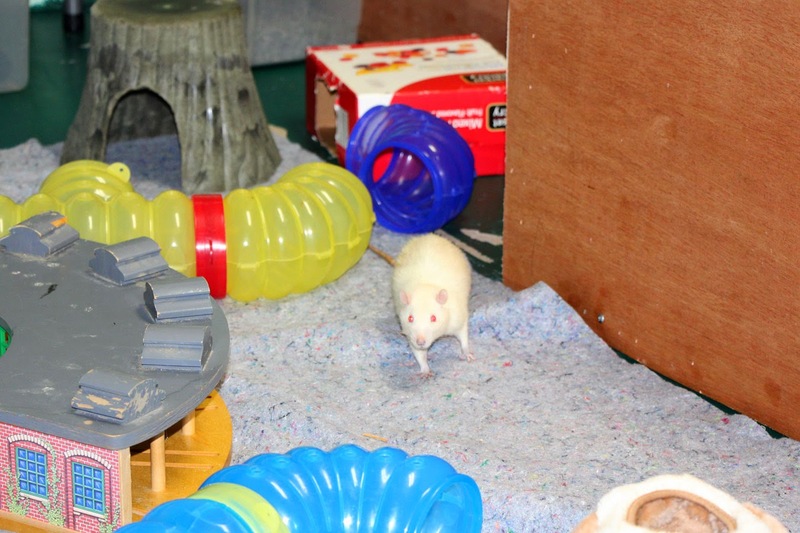 Our rats love the freedom of coming and going as they please and the ramp provides them access to their water bottles and litter boxes during play time, so I do not need to provide additional ones in the room. And when they are tired of running around and playing, they each make their way back into the cage on their own to snuggle in a hammock and take a nap. Note that the description claims that the doors can be closed with the ramp in place. I do not believe that is the case. I can see no way to close the doors without damaging them or the ramp. Also, the description lists the compatible Ferret Nation cage models, but does not list any Critter Nation models. The Critter Nation is perfectly compatible with the ramp (and is even printed on the box the ramp comes in). On an unrelated note, I found a little time to line the furniture pad I had on the floor of the Rat Room with leftover fleece and fleece remnants I had on hand. The result is this bright and cheerful rainbow floor mat. It is easy to clean, absorbant, soft and warm. 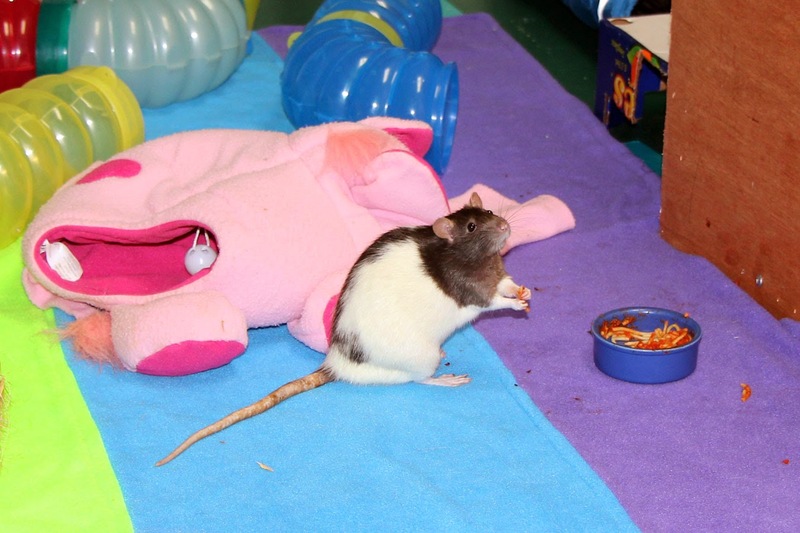 Bela Gets Spaghetti All Over the New Mat - Good Thing it is Washable! 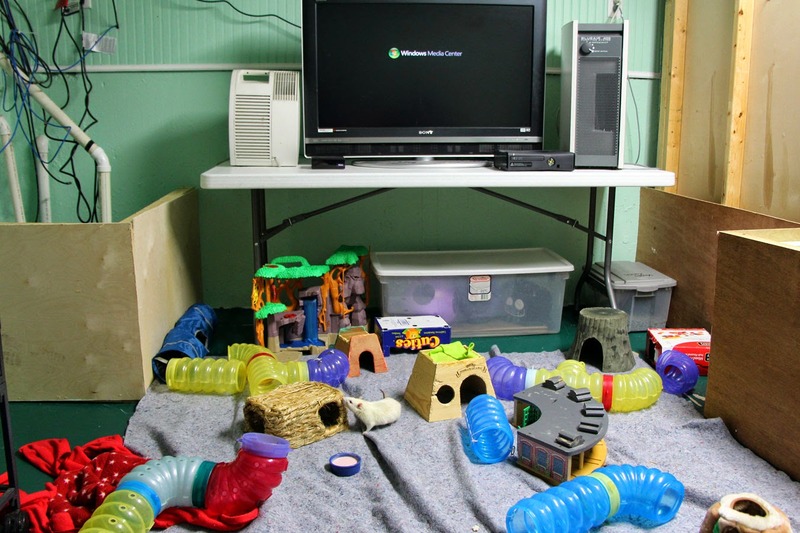 The Rat Room - A Room Just For Rats! 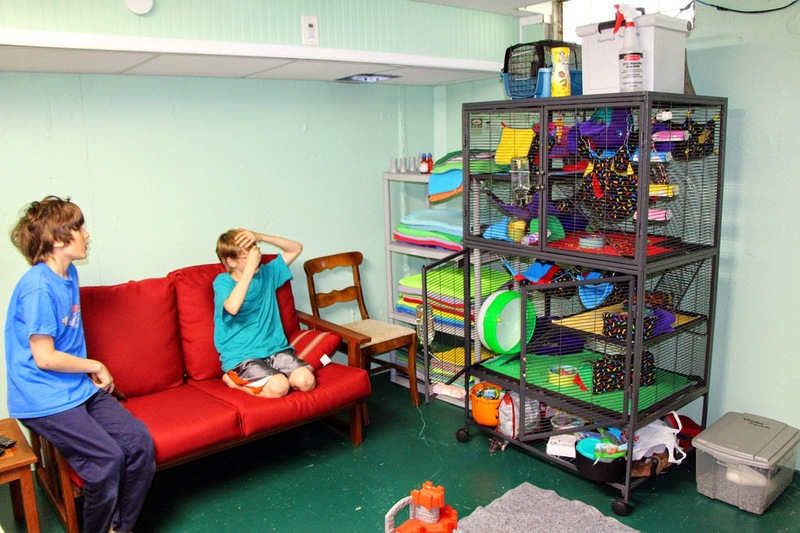 One of our dreams has finally become a reality - we have a Rat Room (dubbed Ratropolis, of course!). 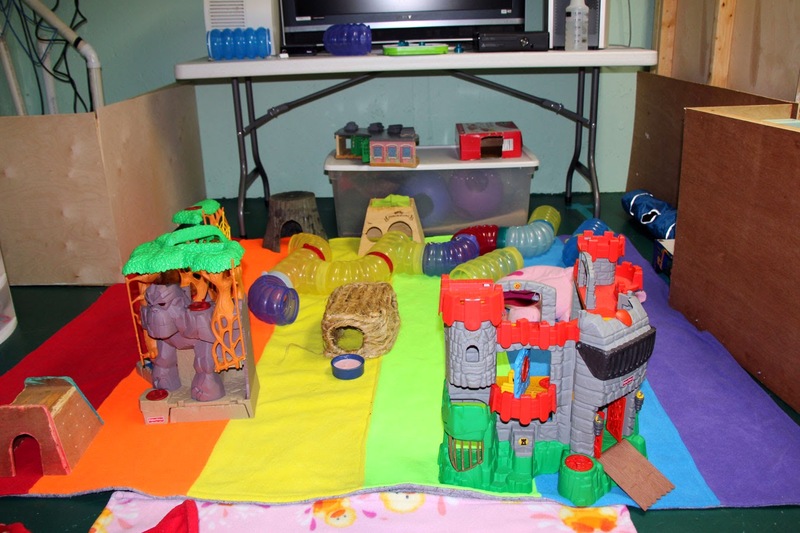 Our Rat Room is a large room in our basement. 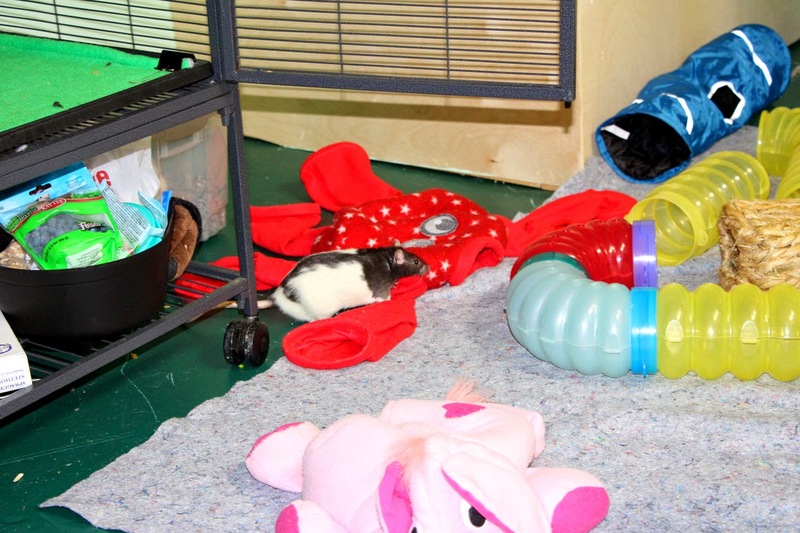 The full size of the room is 18 ft by 12 ft, but currently the rats only have access to half that space (10 ft by 12 ft), as part of the other half is currently in use and not rat safe. 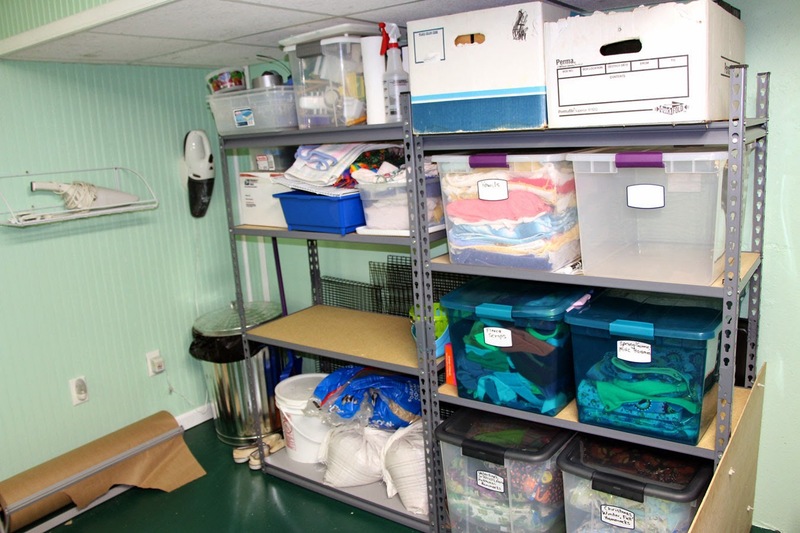 The other part of the other half is dedicated to storing rat things (extra toys, food, hammocks, towels, blankets), so everything we need for the rats is in one convenient place. Storage space on the other side of the room. The Rat Room has a cement floor, a drop ceiling with florescent ceiling lights, and some cement walls and some wood walls. There is a ventilation fan that runs on a timer that keeps the air circulating. 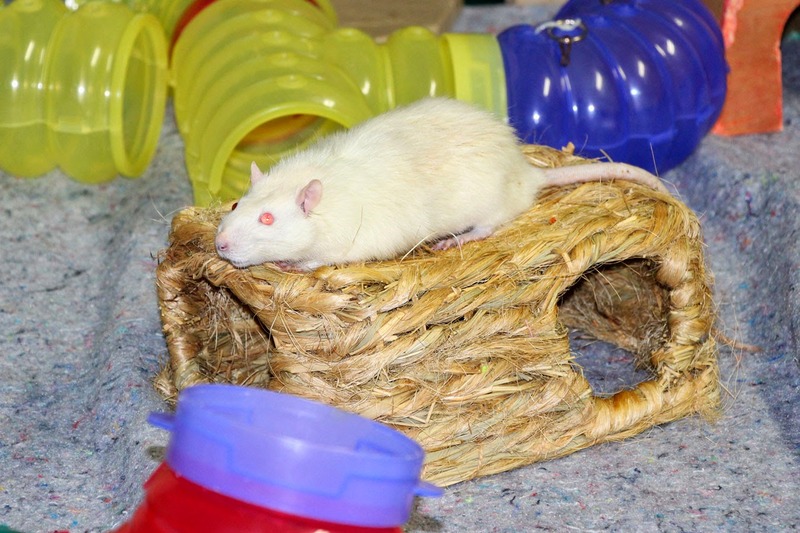 We also have two air cleaners running to keep the air fresh and clean for both rats and people. There is a sump pump in the room, but we have blocked it off with a wooden wall. 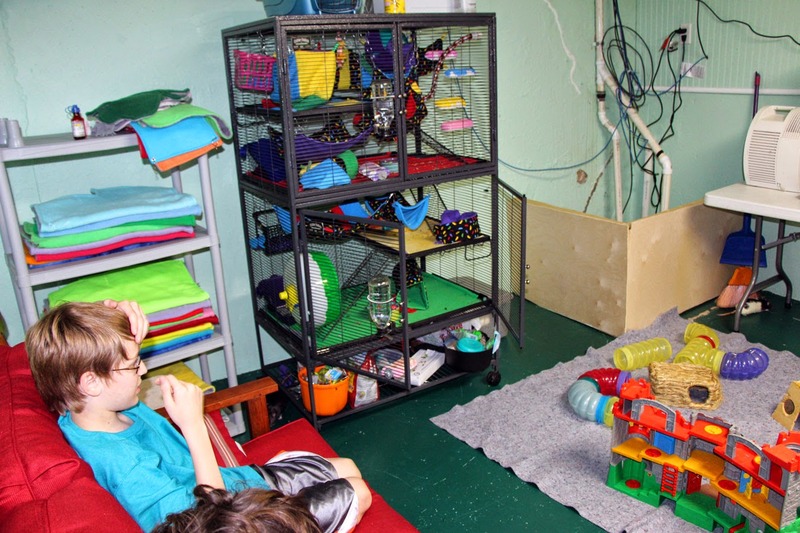 Because the Rat Room will get more use if it is people friendly, we added a small love seat with end table. We chose a piece of inexpensive patio furniture, since it will be more durable, easier to clean, and hard for a rat to get lost inside or underneath. Also, the cushion covers are removable and washable. For entertainment, we have a TV on a banquet table, connected to an X-Box 360 (mainly to connect to our media center PC/Cable) and a Roku player. 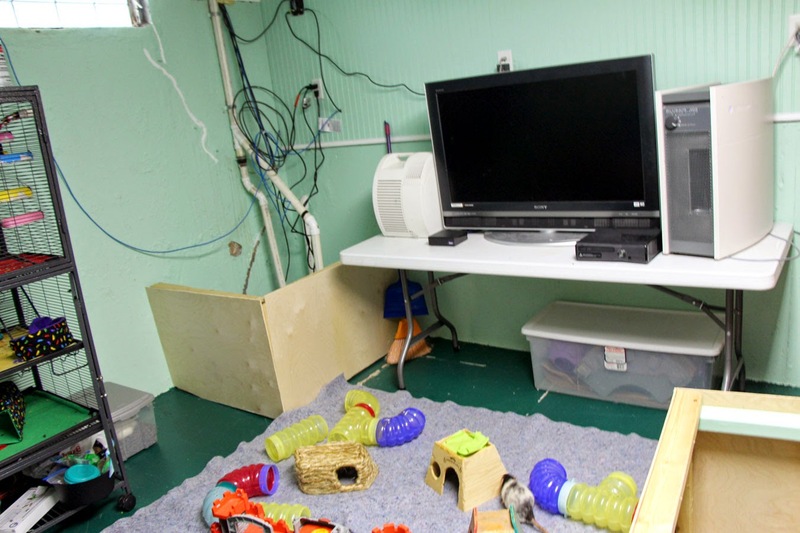 All wires and cables are off the ground and safe from rattie mischief. 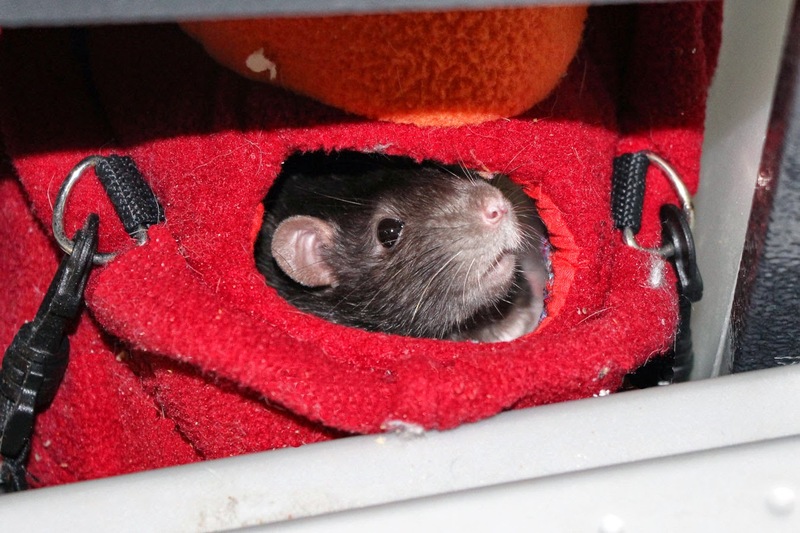 Under the banquet table, we have a large storage box with rat toys not currently in use (the rat toy box). There are a number of things still to be done. Right now, we have a U-Haul furniture pad on the floor. I would like to get a second one and line them both with fleece for a thicker and softer pad to play on. 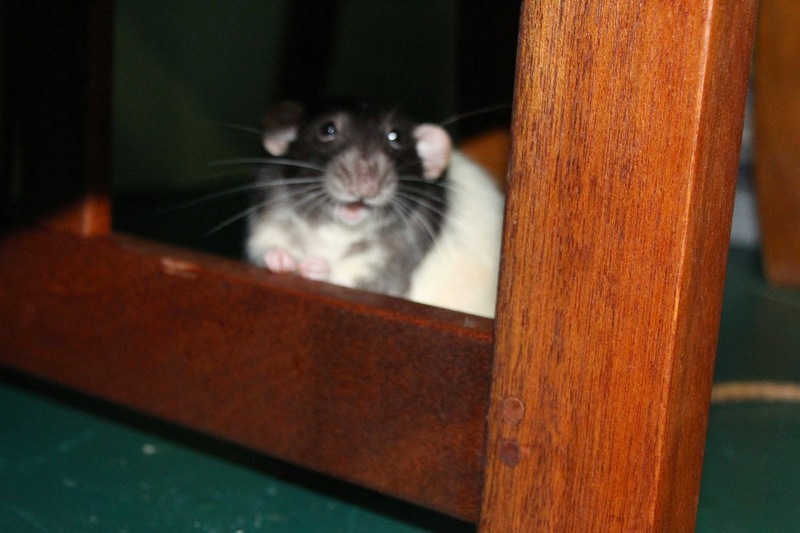 And it would be nice to add pictures of our rats, past and present to the wooden walls. I ordered some mice wall decals for my son's birthday and he can decorate the room with those when they arrive. I also have ordered a ramp that will allow the rats to exit and enter their cage as they please during supervised play time. 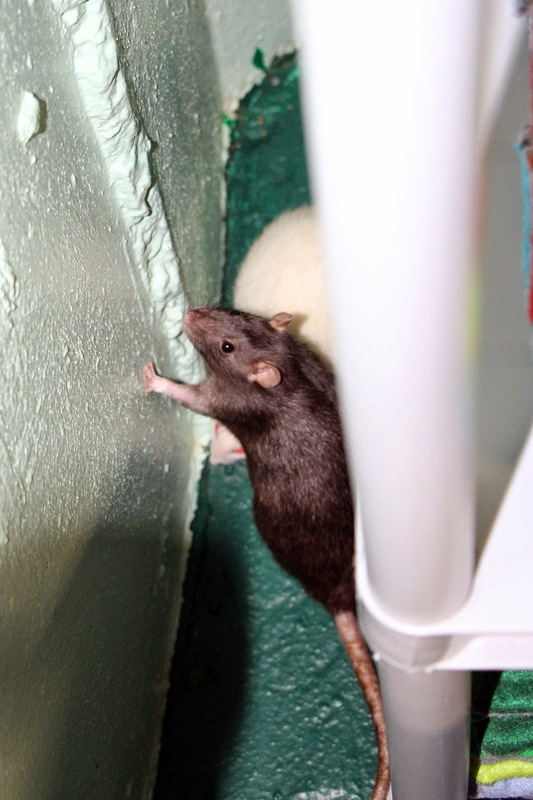 But in the mean time, the rats are really enjoying the extra room and the many places to explore. They seem to appreciate their freedom. We appreciate being able to let them out without constantly having to be on guard - wondering what is the next trouble they will get into. Of course, they still must be supervised, but they really can't get into any trouble of significance in this room. 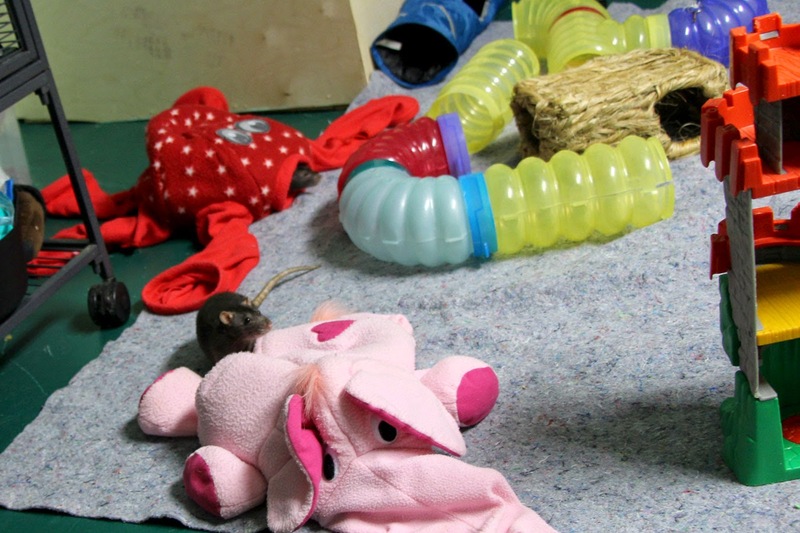 Below are some pics of the rats having a good time in their new room. I can't believe they let me back here! This is not allowed. Leave it to Jo to find a way to get into trouble. so no more rats on top of the cage. Burt takes a bite out of the love seat. Look what I found under the cage! Why isn't this out? Casper has a look around. He loves to explore. Casper needs a rest. His lungs can't handle too much activity. Okay, ready for another go!